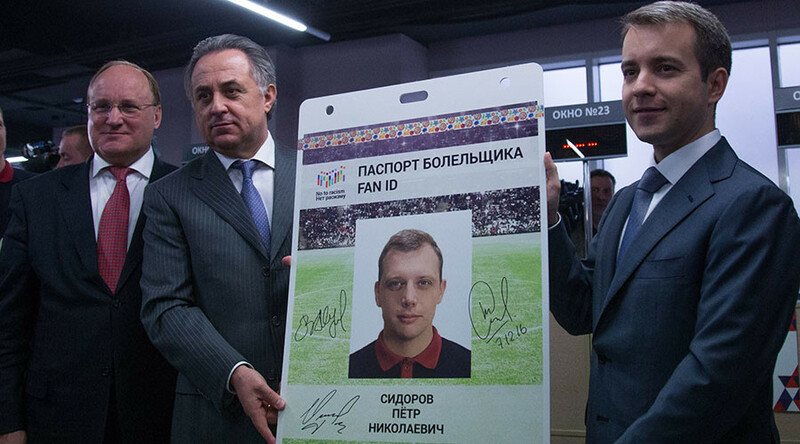 A handing out ceremony to distribute the first ‘FAN ID’ passports for the 2017 Confederations Cup in Russia took place in Moscow today, February 1. In attendance were Russian Deputy Prime Minister Vitaly Mutko, Minister of Communications and Mass Media Nikolay Nikiforov, and Russia 2018 Local Organizing Committee (LOC) Director General Alexey Sorokin. The former Russia football captain Roman Shirokov and 2018 World Cup ambassador, Victoria Lopyreva, were also present at the handout, where Muscovite Ruslan Isayev became the recipient of the first passport at the ceremony. “I would like to congratulate all of us on another phase of our [tournament] preparations,” Mutko said, TASS reported. “The opportunity to receive a ‘FAN ID’ passport plays a huge role in these preparations. We take into account that the around 700,000 fans will visit the Confederations Cup and 3.5 million will come for the 2018 World Cup." The passports – or ‘FAN ID’ as they are known – are an important component in the upcoming tournaments, as they will give supporters access to matches and double as Russian entry visas for foreign fans. “It is an important element of the tournament and I hope it will go smoothly. Close to 10,000 passports and 100,000 applications have been processed. The process has only just started, and the centers are open. If further handout points are needed, we will provide them” Mutko added. Minister Nikiforov said that they had used the experience acquired in organizing the 2014 Sochi Winter Olympics, which employed some 37,000 security personnel, to identify the appropriate security measures. “That experience will be invaluable. We first carried out preliminary identification and already we know some nuances in the organization of this process,” said Nikiforov. “By taking this experience into account, we understand how to make everything convenient and correct. We are thankful to our colleagues at FIFA, who supported the concept of safety organization specifically by this process,” he said. 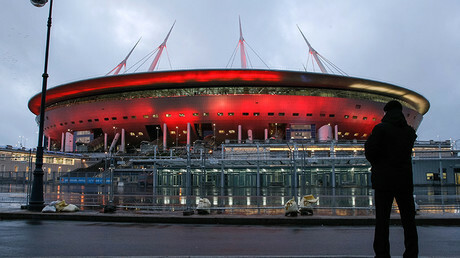 The Confederations Cup is one of the major events in the world football calendar. In 2017, it will be held from June 17 to July 2 at Krestovsky Stadium in St. Petersburg, Otkrytie Arena in Moscow, Fisht Olympic Stadium in Sochi, and Kazan Arena. It will be the first time the tournament will be held in Russia.